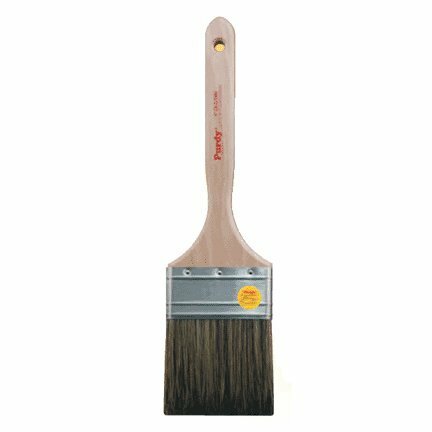 A good paint bush for oil based finishes will leave a flat, brush mark free finish. Picking one out of the wall of brushes at the home center is hard. The material the bristles of a brush are made from determines much of its capabilities. Let's take a look at the different materials and how they perform. Hog bristles brushes are the economical choice. They produce a reasonably smooth finish, but will leave behind brush marks. Paint holding ability is average. When properly used the brush does not produce any drips. The color of the bristles (black or beige) makes no difference to finish quality. All hog bristle brushes perform similarly. All hog hair is the same. Ox hair is the best material for laying down oil based paint and finishes. Top of the line brushes are made from pure ox hair. They cost 5-10x as much as hog bristle brushes, but the finish they create is undoubtedly superior. Many brushes with black hog bristles are sold as ox hair brushes. These brushes are cheap imitations and should be avoided. In order to bring down price of ox hair brushes, manufacturers have created brushes with a blend of ox hair and hog bristles. The hog bristles add stiffness and paint capacity. The ox hairs create a smooth finish. While better than pure hog bristle brushes, blended brushes do not reach the level of performance of pure ox hair brushes. They are, however, considerably cheaper than pure ox hair brushes. 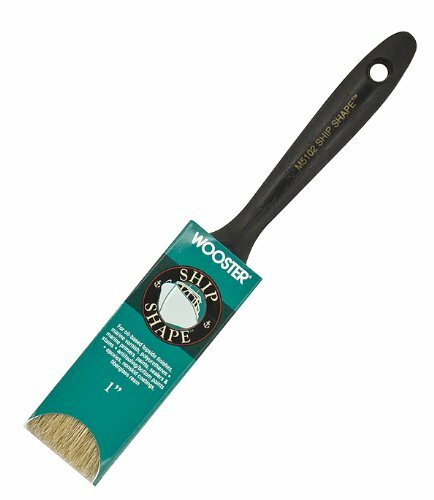 This makes these brushes a favorite of many painters. Only some synthetic brushes can be used with oil based paints. The solvents in the paint can attack certain types of synthetics and dissolve them as you paint. 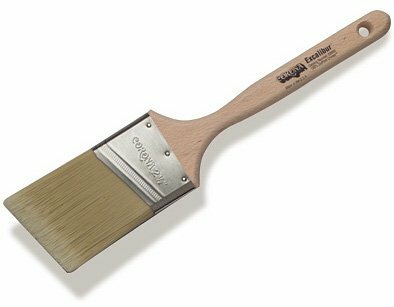 One type of synthetic brush that can stand up to oil based paints is a Taklon brush. It produces a virtually brush mark free finish just a notch below that of a ox hair brush. Due to its flexibility it cannot hold as much paint as animal hair brushes. It is prone to drips when improperly used. Taklon brushes are a good substitute for an ox hair brush. They cost considerably less and can produce a comparable finish with some diligence. Brushes made from pure ox hair produce the best finish with oil-based paints. They are very expensive compared to the other entries. Brushes with a blend of hog hair/ox hair bristles and synthetic Talkon brushes produce almost the same result given enough diligence, but cost considerably less. Hog bristle brushes are the economic choice. They perform well when a brush mark free finish is not required. This article does not apply to latex paint (water based). Different brushes must be used for this type of paint.